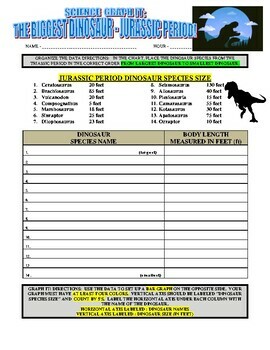 The assignment gives students data on 14 dinosaur species from the Jurassic Period (data for dinosaur species and length is accurate). Students are tasked with organizing and graphing the data in descending order according to the directions (bar graph). 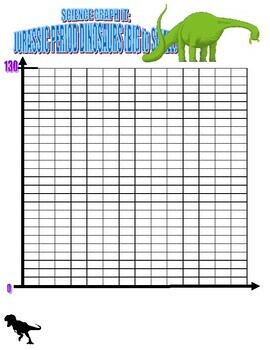 If you enjoyed this product also look for bar graphs on Triassic Period and Cretaceous Period Dinosaurs in my TPT store!